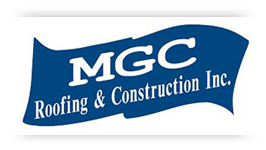 MGC Roofing & Construction Inc. (MGC) is committed to providing comprehensive roofing solutions at highly competitive prices with a bottom line commitment to quality. As a full-service roofing contractor, we deliver prompt and professional roof repair and maintenance services in South Florida and have the capabilities and experience to handle any roof replacement or new construction project throughout the United States. If proven performance and reliable results are important to you—choose MGC.